Shout out to Societe Perrier for an eccentric evening of pop art and cotton candy cocktails for the launch of the limited edition Andy Warhol Perrier bottle. As the great Warhol himself said “Pop art is for everyone,” and I couldn’t agree more when pop art mingles with classiness in spectacular cocktails. The launch, beautifully organised by Societé Perrier’s newest addition, Sarah Lauren Gale, rocked #station16 gallery on St-Laurent on Friday the 27th of September. Highlights of the evening included browsing the pop art prints along the gallery walls while listening to the cool beats from DJs Zubi (Patrice Mathieu) and RRKelly (Kelly St-Pierre). Old school tunes had the guests tapping their feet and bopping their heads, as they sampled the variety of Perrier cocktails. The drinks deserve a mention: with names like Red Lip Contact, The Factory, and The Marilyn, how can you go wrong? 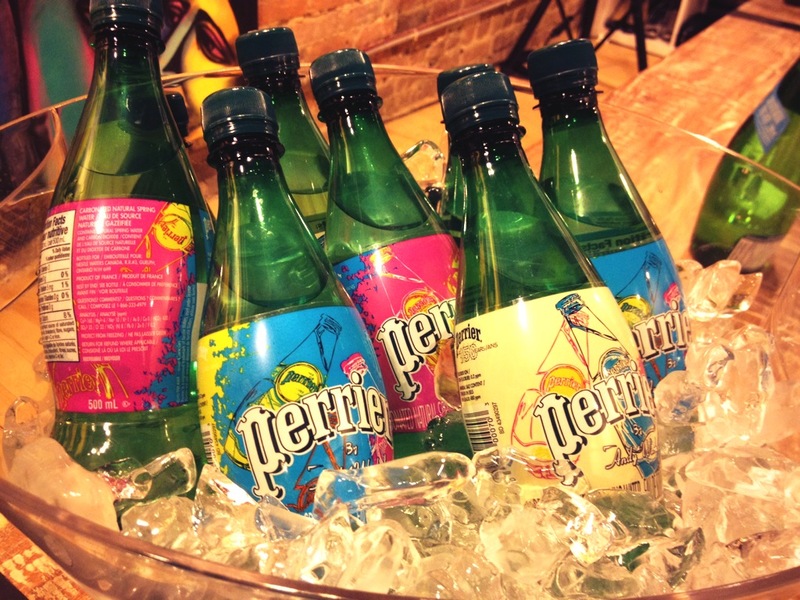 Societe Perrier knows how to entertain! Here at Nudabite, we firmly believe in a detox/retox mantra that encourages the blending of good/evil (in this case healthy mineral water with the devil-incarnate-itself, alcohol and high fructose juice). 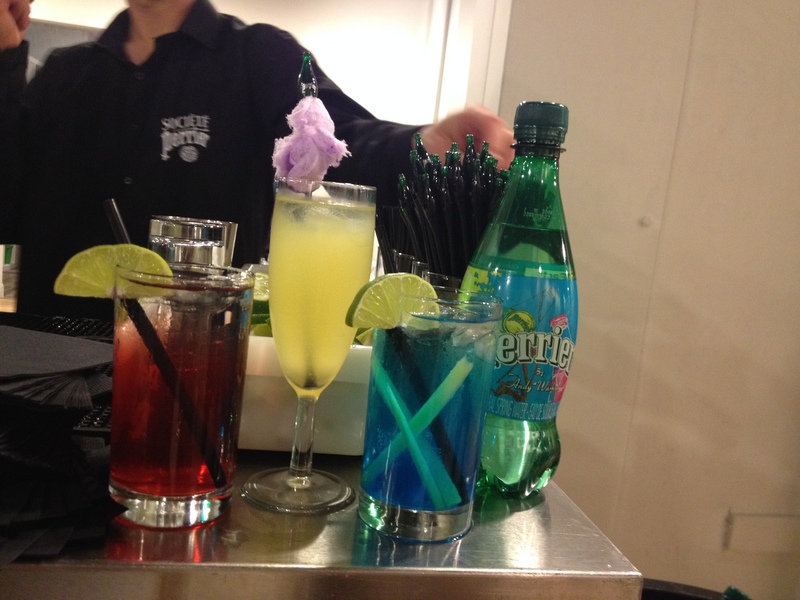 In fact, the Red Lip Contact cocktail, which featured a blend of vodka, cranberry juice and lavender syrup, had us daydreaming of other possible drink combinations that feature Perrier and liquid sugar. Why not unleash your inner Martha and whip up something new to serve your friends at your next get-together? And if you are serving your family, well, at least you’ll have something to talk about. Boil 1 cup of water with ½ cup of sugar and 1tbsp dried lavender. Bring all ingredients to a boil and simmer for a few minutes. Strain lavender out and let cool. Do you have any cocktail ideas to share? Leave your recipes in the comments section!